Academically. Emotionally. Spiritually. The Temple Beth Am Day School curriculum focuses on critical thinking, reasoning, creativity and imagination. The students at Beth Am are hard-working and intelligent, and they inspire each other every day. Beth Am Day Camp Our summer program is one of the highlights of our year. We are thrilled to offer innovative and exciting activities. A typical week includes water play in our splash zone, art, yoga, dance, music, athletics, creative movement, science and so much more. In addition to our 7 week Beth Am Day camp program, we offer specialty camps such as Ballet, Basketball and Performing Arts. Religious Life: Whether celebrating a simcha (joyous occasion)... holding you in time of sorrow... offering counsel during moments of confusion or trouble... sharing the wisdom of our traditions... visiting you when you are ill or just that quick hug and embrace... praying with you on Shabbat and holy days... Temple Beth Am is here for our members and their families. Day School: Technology should not only support and enhance student learning, but it should be an avenue for creativity and collaboration. Youth Engagement Religious School: Social Justice Teen Fellowship program at Give Kids the World in Orlando FL. The Social Justice Teen Fellowship program is an exclusive, action-oriented program that seeks to empower Fellows to take responsibility and action for significant social, economic and environmental problems in their local communities, both within and beyond the Jewish community. Bridge Club: Bridge Club is open to the community and about 84 players participate daily. Bridge lessons and duplicate bridge occur every day of the week. Temple Beth Am, the House of the People, was founded in 1955, and is located in the Village of Pinecrest in South Miami-Dade County. Open to all, we are a nurturing and caring Reform congregation committed to Jewish continuity, life-long education, spiritual renewal, life-cycle transitions, Shabbat and holy day celebrations. Beth Am offers religious, educational, cultural, social and athletic programs that meet the dynamic needs of our community. Temple Beth Am Day School, serves children 15 months through 5th Grade and has a coherent, cumulative core curriculum in both Judaic and general studies, which instills values such as civic duty, honesty, diligence, perseverance, independent-mindedness, respect and kindness; which gives students step-by-step mastery of procedural knowledge in language arts (in both Hebrew and English) and mathematics; and which gives them step-by-step mastery of content knowledge in history, science, the arts, the humanities, Judaic texts, Israeli history and culture. After School U is a “community inclusive” program where children feel physically and emotionally safe. We strive to create a unique environment where children feel a sense of belonging, learn life-long skills, have opportunities for leadership, and forge lasting relationships with their peers and their counselors. All staff members consider themselves role models first, teachers second. ASU is not only a quality After School Program, but a leader and innovator in the After School industry. Temple Beth Am operates the largest temple-based basketball league in the country and for almost 50 years. The league emphasizes team play and sportsmanship, with a goal of improving players of all abilities. A volunteer-led committee oversees more than 100 coaches each season. We continue to be one of the great community leagues in South Florida, serving over 1,000 kids a year from 3rd grade through 12th grade. Sisterhood is truly about forging connections, finding common interests and working with other women to create a sense of community that matters. Your membership is the key to our thriving organization. Each of you makes a difference. We gauge our success by looking at the sense of camaraderie, learning and goodwill that is created by our programs and opportunities to be involved. Brotherhood offers opportunities to the men in our community to expand their circle of friends, become involved in our Jewish life, participate in exciting activities and contribute to our Congregation. Miami Jews is a gathering of young Jewish professionals, ages 22-39, interested in having Jewish connections outside of the walls of Temple Beth Am. Events and gatherings are typically held in Wynwood or Brickell and encourages social interactions, professional networking all through a Jewish lens. 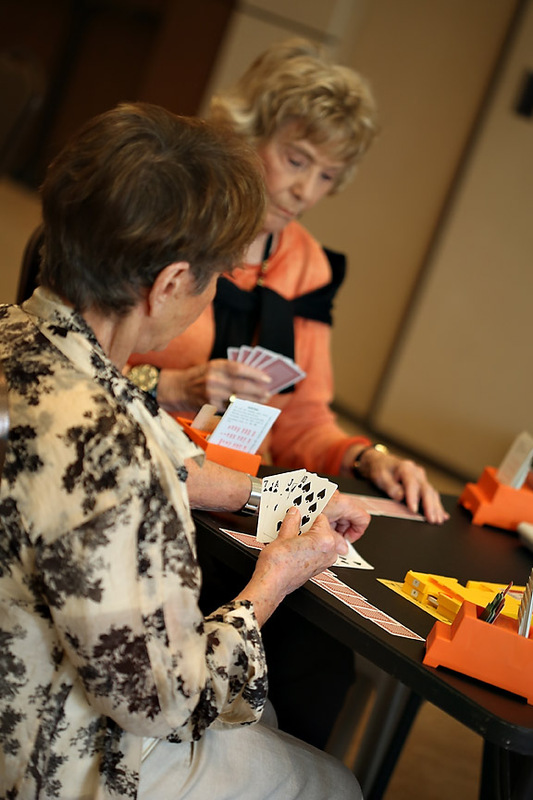 Bridge Club: Bridge lessons and duplicate bridge every day of the week. Deborah R. Starr, Ed. D.